As the 28th president of the United States, Woodrow Wilson served two terms. He was known for being a leader in the Progressive Movement and pushing through several progressive reforms. These reforms included the Federal Reserve Act, Federal Trade Commission Act, Clayton Antitrust Act, Federal Farm Loan Act, and federal income taxes. Before becoming president, Wilson had served as governor of New Jersey. Additionally, he had an extensive background in education and had been appointed Princeton University president for eight years. Wilson’s father was a slave owner and a staunch supporter of the Confederacy. He also had a profound effect on Wilson’s later outlooks in politics and in life. Wilson attended Princeton University, where his father was a teacher. He also attended one year of law school before continuing his studies close to home when his health, which had always been shaky, began to get worse. In 1882, Wilson began practicing law and passed the Georgia bar. However, he did not practice law for long before enrolling in John Hopkins University’s history and political science doctoral programs. In 1885, Wilson married Ellen Louise Axson. Together they had three daughters. However, Ellen died in 1914, and in 1915 Wilson married Edith Galt. Wilson began his political career in 1910 when he was elected governor of New Jersey. 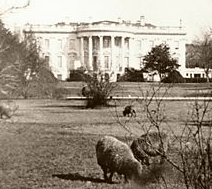 By 1912, he had already gained enough popularity to be taken seriously as the Democratic contender for the presidency, which he went on to win. During Wilson’s time in office, he worked hard to pass many progressive reforms. Of his most powerful reforms, he passed the Keating-Owen Act in 1916 to restrict child labor; however, the U.S. Supreme Court later declared it unconstitutional. Additionally, Wilson became a supporter of women’s suffrage, although this had not always been his stance. Unfortunately, when it came to race relations, the Wilson administration was not as progressive. One of the least visionary policies passed was one mandating racial segregation in the federal workplace. 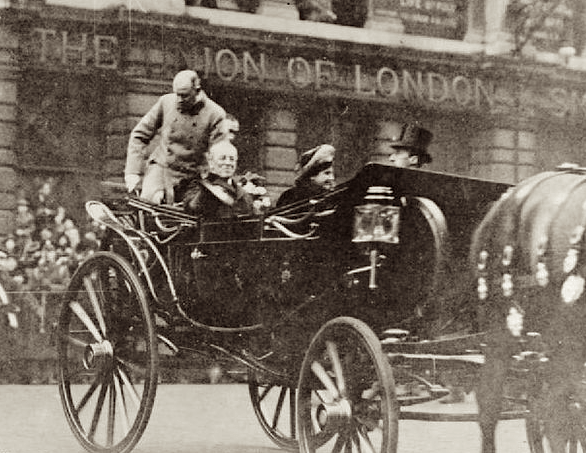 President and Mrs. Wilson visit London, December 28, 1918, little more than a month after the end of World War I. In 1916 Wilson was re-elected, and in 1917 Congress declared war on the German empire (World War I). During the war, Wilson focused on funding it through a Federal Reserve Bank and Liberty Bonds. He also implemented a draft and took care to suppress anti-war movements at home. As a young boy, Wilson had difficulty learning how to read. He taught himself how to read, and through grit and determination he did well in his school studies. Wilson may have had dyslexia. While he served as president, Wilson took daily rides in his automobile and became a huge car enthusiast. Among his cars was a 1919 Pierce-Arrow, which gave him immense enjoyment. In 1915, Wilson attended a World Series game and threw out the first ball; he was the first president to do so. In fact, he was a baseball buff and even played the sport during his college days. In addition to baseball, he enjoyed bicycling and playing golf.